“Come out to play!” When’s the last time you heard that? Growing up in my suburban neighborhood, that was the typical call at the front door. Packs of kids would go out and climb trees, ride bikes for hours, and play epic touch football games in the street. Left to my own devices, I refurbished an old skateboard, planted flowers, and walked on stilts. To my daughter, these tales sound like something out of The Adventures of Tom Sawyer, which is 140 years old. Yet I’m typical of my generation, when 70% of us moms routinely got outside to play. My daughter is typical of hers, in that only 31% of kids regularly play outside. Outdoor playtime is so limited for most preschoolers that many know their letters and numbers, but don’t know how to skip. In just a generation, what has happened to play? Technology keeps kids indoors and on screens, for as much as 53 hours a week! Kids are 6 times more likely to play a video game than ride a bike. Parents fear their kids being left behind academically and schedule their time to be maximally productive. People are afraid to let their kids play outside, both in neighborhoods and in nature. Many of these fears have proven to be unfounded, especially when we learn more about our local streets and natural areas. 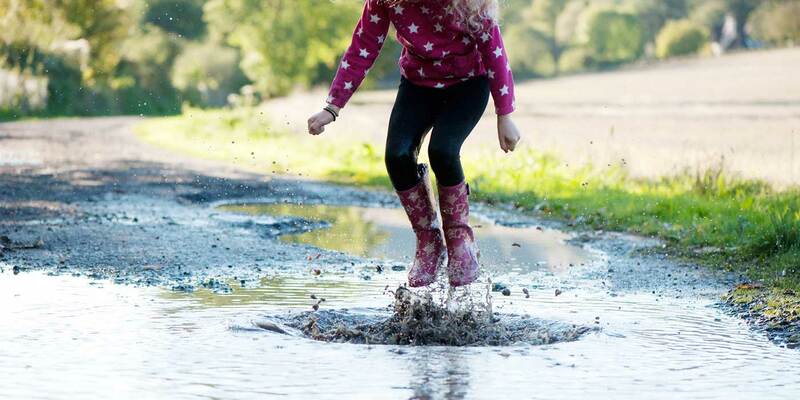 In fact, outdoor play has been shown to be beneficial to every area of child development whether it’s physical, psychological, intellectual, social, or emotional. Kids who engage in outdoor play perform better in school, get along better with their peers, display greater imagination and creativity, experience less depression and stress, and are physically healthier. 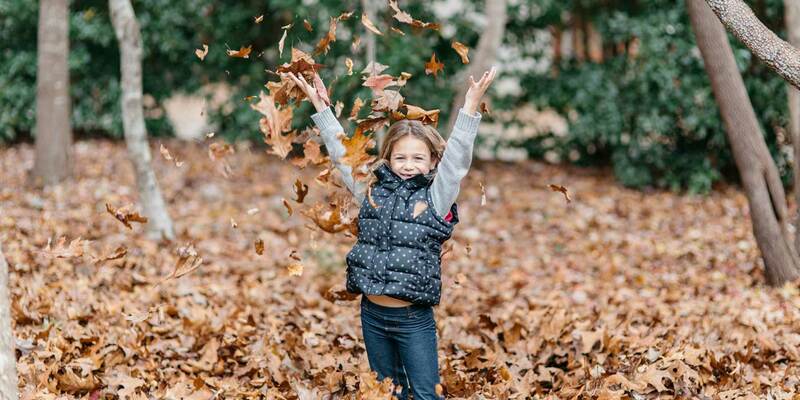 Even though the cell phone and calendar may have replaced the doorbell as a cue to get out to play, here are four ways to ensure that playtime becomes a reality. 1) Leave unscheduled time for free play. There’s nothing like free play to stir kids’ imaginations and get them moving and having fun in ways they may not during organized activities. If your kids need a nudge, give them costumes and props for outdoor play, suggest a scavenger hunt, or gather some friends and teach everyone playground games from your own childhood. If it’s been a while, try one of these games to play in a playground, park or backyard. 2) Learn about and teach outdoor safety. Experience and knowledge are power. Get out in the neighborhood together to alleviate your fears. Riding bikes with your kids now ensures that they’ll be safe riders on their own later. Learn about seasonal safety from The Centers for Disease Control and Prevention. 3) Get your discovery on. Check out the bugs that crawl on garden plants or swim in puddles, and the wildflowers that bloom on the side of the road. Bring a journal or camera on a discovery walk and record your observations. Play Listen, Do You Hear? Lie down outside, shut your eyes, and raise one finger for each new sound you hear. Make a wind chime by hanging recycled tin cans, jar lids, muffin tins, measuring cups and more from tree branches. Create a mud play area and use old cups and kitchen items for filling and dumping. Make bark rubbings from trees. Swim in a pool or lake. Go on a scent hunt and see how many smells you can find. Grow or pick ripe fruit and make summer jam and desserts. 4) Enjoy outdoor fun in all seasons. Make a nature bracelet. Place a piece of masking tape, sticky side out, around a child’s wrist. Go for a walk or hunt and look for small items in nature that can be stuck to the masking tape, such as leaves, twigs, seeds, acorns and pods. Collect fall leaves and make them into placemats. Create ice art. Gather a variety of empty containers with large openings, such as milk or juice cartons. Collect rain or water in your containers and add plants near the edges or color with food coloring, if desired. Leave the containers of water outside to freeze. Carefully remove your containers to reveal the ice sculptures! Make your own snowshoes. Cut two cardboard pieces in the shape of your foot, 6 inches larger all around. Place a snow boot on the cardboard. Cut holes on each side of the boot’s toe and heel. String rope or bungee cord through each set of holes to secure your boot onto the cardboard. Make a bird feeder to provide food for birds all year, particularly during winter, when food can be scarce. Cover a pinecone, or a toilet paper tube or piece of cardboard with vegetable shortening or any nut butter. (Punch a hole toward the top of the cardboard first.) Roll it in a pie-tin filled with birdseed, let dry slightly, and hang with string. Have fun watching all your visitors! Fold a paper boat and sail it in a creek or other body of water. Grab some friends and have a paper boat race. 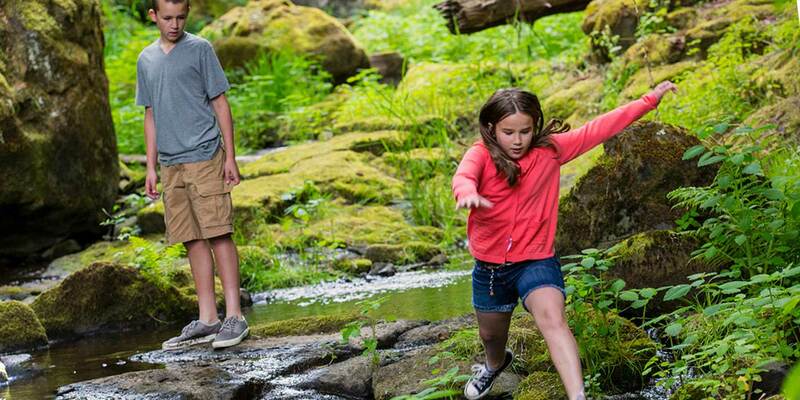 Enjoy old-time summer activities like skipping stones, catching fireflies and whistling with a blade of grass. Teach others your brand new skills. Those are just some ideas to get started, but I’m sure you’ll be inspired to think of even more once you see how much it benefits children. Have fun getting out to play! Susan Sachs Lipman (Suz) blogs at Slow Family and is the author of Fed Up with Frenzy: Slow Parenting in a Fast-Moving World, which contains these and 300+ fun family activities.